This is the type of restaurant environment where Paul Daniels thrives, and it’s one he hopes to bring to life Sept. 1 as franchise owner of the new Chick-fil-A at Queens Center Mall. It’s no coincidence that Daniels landed in Queens — deemed the most diverse place on the planet by the Guinness Book of World Records, and dubbed as “The World’s Borough” by local officials and seen on roadside marquees along the area’s bridges and highways. Daniels’ restaurant journey and personal appetite for adventure have taken him all over the globe (52 countries and counting), shaping his global business mind and, more importantly, his appreciation for unique perspectives and people. But he wasn’t always a world traveler. Daniels grew up in the far reaches of East Texas. — Longview, to be exact – with his parents and younger sister. Daniels credits his mom, a longtime private school teacher; dad, an operations training director; and grandfather; a school bus driver and teacher, for showing him early in life the importance of helping others. There, Daniels worked among four other employees who would go on to become Chick-fil-A restaurant owners themselves. While working at the Waco restaurant, Daniels married his now wife of 10 years, Taryn. Soon after, she received an opportunity the couple couldn’t pass up – a job offer that would take them to London. Once there, Daniels worked as a manager for the trendy family-owned UK restaurant chain EAT. He ran various restaurant locations, from Kings Road and Piccadilly Circus to Notting Hill Gate, one of the flagship EAT locations in London. The experience taught him important lessons in business: what it takes to run a successful company in a big city, how to operate in different environments and how to overcome challenges. But the business savvy was eclipsed by life lessons taught through close interaction with EAT Founders Niall and Faith MaCarther during his time at Notting Hill Gate. The couple encouraged him to “give myself to others, learn continually and stretch myself,” words of advice he took to heart as a mentor helping EAT employees from all over the world grow as leaders. “I heard their stories and learned from them,” he says. 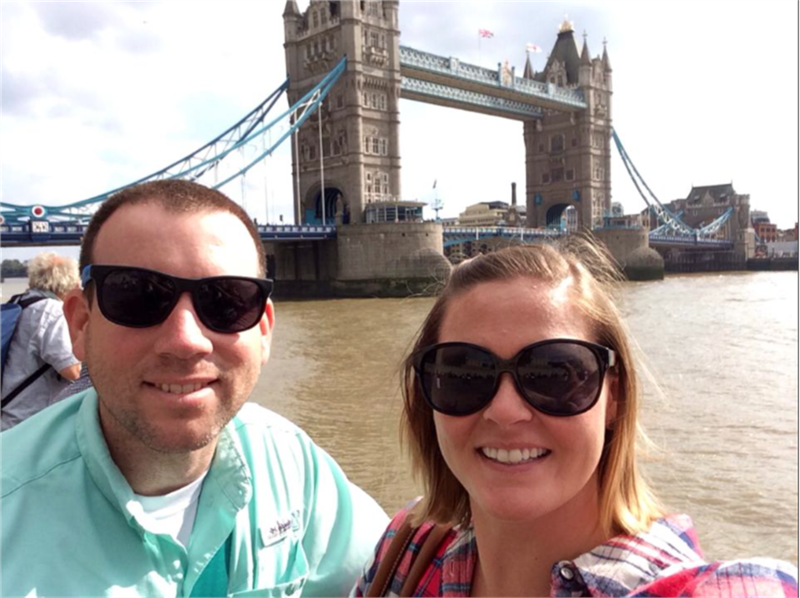 After several years of working in London, traveling to nearby countries to experience other cultures in his spare time, and even a backpacking trip around the world, Daniels ultimately returned to the States for one primary reason: his strong desire to pursue a career with Chick-fil-A. Daniels’ is slated to open the Queens Mall Chick-fil-A on Sept. 1, where he will turn the lessons learned from London and other global communities he’s encountered to a strong vision for developing a diverse team. 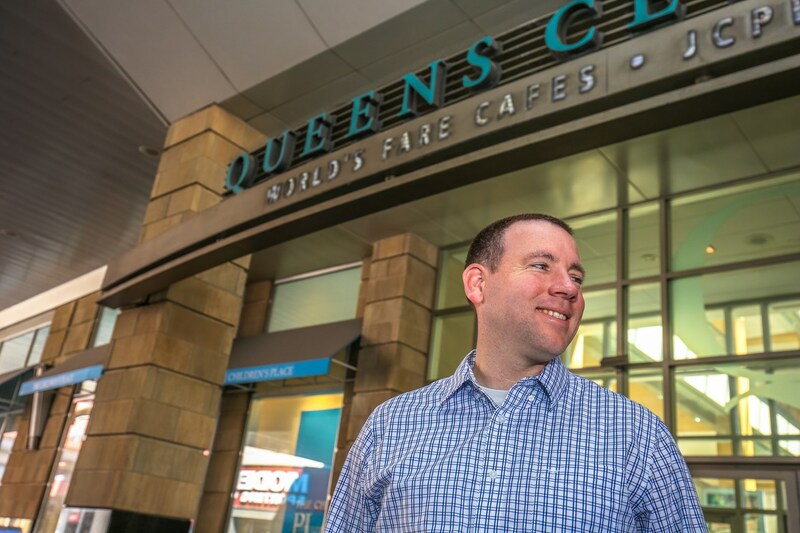 Daniels hopes he’ll be able to serve as a kind of international ambassador for Chick-fil-A in Queens as he meets people both inside and outside his restaurant at Queens Center Mall. He’ll encourage team members to embrace their hometown pride, displaying the name of their native city, country and flag on their Chick-fil-A name badges to celebrate diversity and also serve as a resource for customers who don’t speak English as a first language. And while Daniels is taking a break from his globetrotting ways, he’s not concerned about wanderlust anytime soon. “If I could describe New York City in one word, it would be ‘home.’” Ellie Kim spoke those words with an unmistakable, resounding passion. Having spent 11 years in Washington, D.C., Kim couldn’t be happier to finally return to the city and open the newest Chick-fil-A restaurant at 42nd Street and Madison Avenue, a stone’s throw from Grand Central Station. In one week, Manhattan’s newest Chick-fil-A restaurant will open three blocks south of Columbus Circle at 918 8th Avenue, between West 55th and West 54th Streets. At more than 5,000 square feet, the restaurant offers a dynamic dining experience with seating for 94 guests, including booths and community tables. Like Chick-fil-A’s other NYC locations, 918 8th Avenue will feature innovative ordering technology to facilitate speed and efficiency, and an open restaurant design featuring high ceilings and expansive windows to capture daylight.